Meet our dedicated team of professional musicians who aim for high standards in choral music. Besides his distinguished work with Overgate – though involved very early on with choir concerts, this has been a full-time commitment since 1997 – Dr Lindley is Music Director of Leeds-based St Peter’s Singers, Conductor of Sheffield Bach Choir and of Doncaster Choral Society. 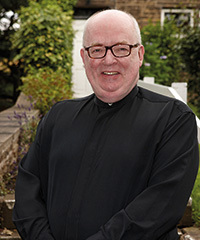 Simon is Organist Emeritus of Leeds Minster, where he served as Master of the Music from January 1975 to September 2016 – a tenure longer than any other in that church’s long musical history; additionally, in August 2017, Simon was designated City Organist Emeritus after 41 years service at Leeds Town Hall. An extensive discography includes two best-selling Naxos CDs and many recordings at Leeds Town Hall with the Orchestra of Opera North. Simon still gives regular recitals at Leeds Town Hall, Leeds Minster, Halifax Minster and in his home village of Fulneck, near Pudsey as well as further afield. Dr Lindley has sustained a very long connection with Halifax music, giving one of his first solo recitals here in 1969 and today serving as a Trustee of the Minster’s 900 Trust; he also assists regularly Minster Organist Graham Gribbin and Director of Music The Reverend Canon Hilary Barber. In Summer 2012, he was the recipient of an Honorary Doctorate from the University of Huddersfield for his contribution to choral music locally, nationally and internationally; in 2001 he had received a similar award from Leeds Beckett University on account of services to the musical and civic life of his adopted city. Simon is an Honorary Fellow of the Guild of Church Musicians, the Royal School of Church Music, the Guild of Musicians and Singers and of Leeds College of Music. In Summer 2005 he received the Freedom of the City of London, where he began his career as an organist in the 1960s and in Spring 2006 he was the recipient of the coveted Spirit of Leeds award from Leeds Civic Trust. In Autumn 2016, Dr Lindley was presented with the “Leeds Award” at a special ceremony in Leeds Civic Hall. Simon’s work in many capacities for the RSCM has included directing courses on four continents. He visited Johannesburg and Pretoria in November 2014 for a week of choral directing and organ playing. President of the Royal College of Organists from 2000 to 2003, Simon was President of the Incorporated Association of Organists from 2003 to 2005. A former Grand Organist of England, Dr Lindley is currently in office as Grand Organist to Masonic Province of Yorkshire West Riding and of his Lodge, Zetland No 1311 as well as organist to the Richard Gill Chapter of Rose Croix Freemasons in Halifax. His interests include writing, printing and typography, cooking, travel – especially rail travel –and local history. A number of his small- scale liturgical compositions and carol arrangements have achieved wide-spread provenance and recordings. His setting of Ave Maria appears on Katherine Jenkins’s recent CD Sacred Arias and Dr Lindley was privileged to have that work performed on two recent papal visits to the United Kingdom – by His Holiness John Paul II in 1982 and His Holiness Pope Benedict XVI in 2010. 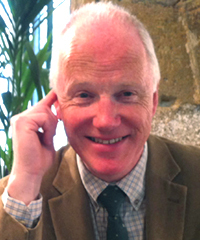 Simon’s organ music includes contributions to two significant publications – Fanfare for Francis , music in honour of the 90th birthday of Dr Francis Jackson CBE, and Echoes  in memory of the late Dr Alan Spedding, MBE, for long the distinguished Organist and Choirmaster of Beverly Minster. Alan Horsey is the Accompanist to the Leeds Philharmonic Choir and the Overgate Hospice Choir in Halifax. He has enjoyed a long association with the Leeds Methodist Choir and the St.Peter’s Singers of Leeds, the Sheffield Bach Society, Doncaster Choral Society and the Bradford Festival Choral Society. From 1996 until 2015 he was the Conductor of Ilkley and Otley Choral Societies. As an orchestral organist and harpsichordist he has appeared with the Halle, BBC Philharmonic, RLPO, Royal Northern Sinfonia, Airedale Symphony and the Manchester Camerata. He appears regularly with the Manchester Concert Orchestra specialising in celeste, synthesiser, piano and organ. Alan is married to Elisabeth, a music teacher, and they have two children – Alice, who is Stage Manager working in London’s West End Theatres and Edward, a Jazz Trombonist, also working in London. Alan’s leisure interests include gardening and domestic poultry.